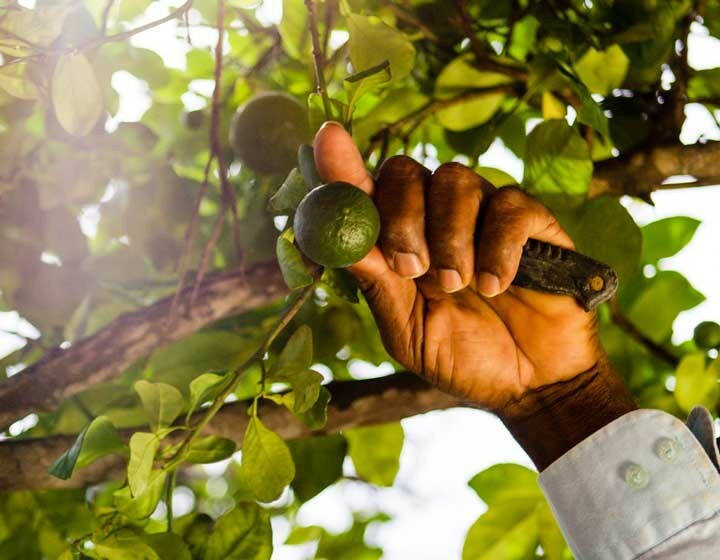 Our production process is as special as our Curaçao liqueurs. 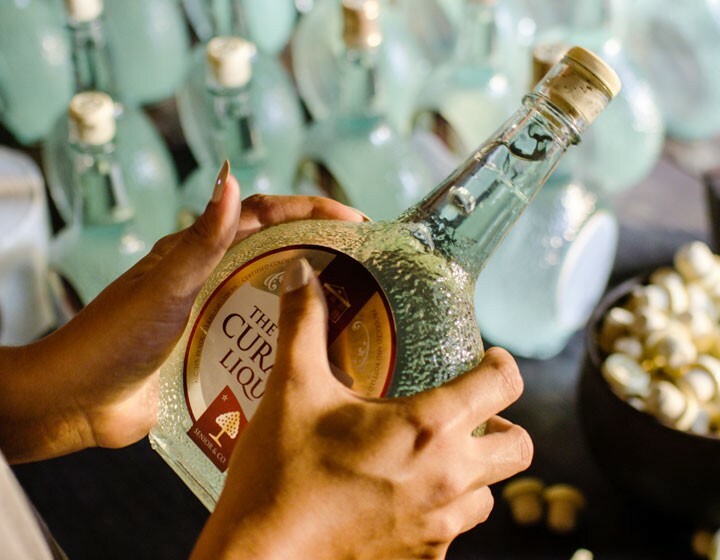 It is a craft that we mastered in our traditional process; from the moment we harvest our Larahas till the pouring of our liqueurs in our exclusive bottles. We do this with care, expertise and qualitative ingredients. 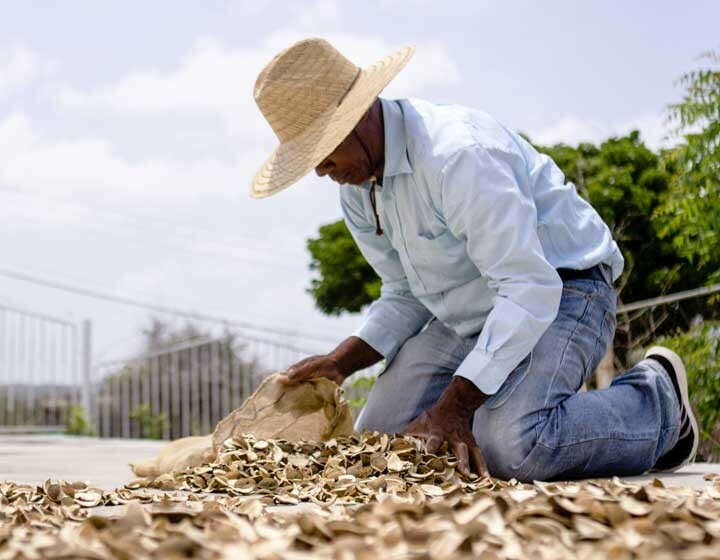 The plantation that grows the indigenous Laraha is located in the Eastern part of Curaçao and consists of approximately 45 Laraha trees. Each tree produces approximately 150 to 200 fruits, which result in 25 to 35 kilograms of dried peels. 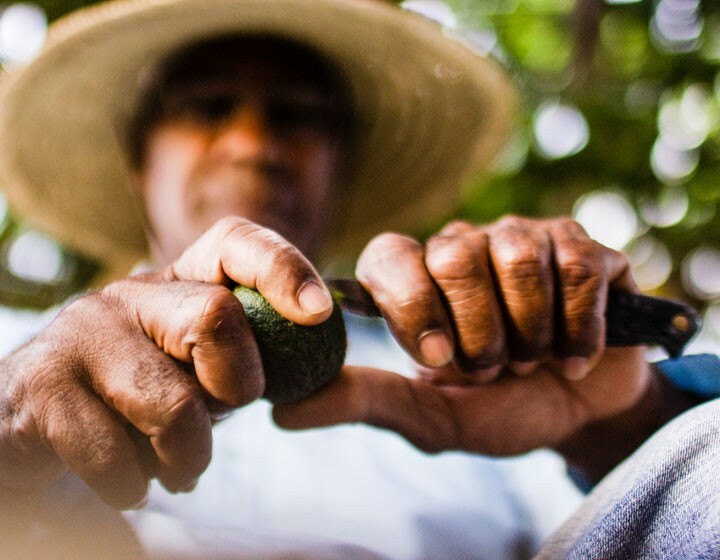 The trees are harvested twice a year, but the harvesting is not as simple as you would think. The Laraha trees are 3 meters long and taking one fruit requires a special technique. 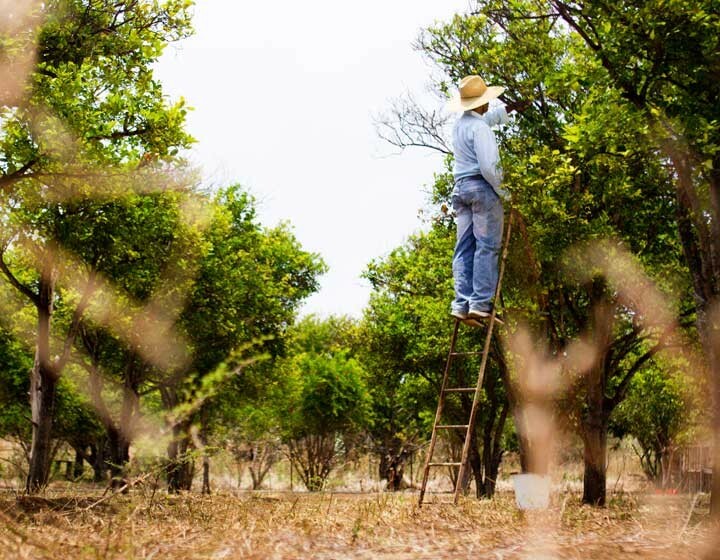 When the fruits are green, before ripening, our farmers need to take a long ladder to take the fruit from the trees. Each fruit is cut with a piece of the sprig of the tree. Pulling only the fruit will dry up the knot of the tree making it impossible to yield more fruit. We cut the peel of each fruit into 4 sections, which are roughly triangular. For this process, we use a stainless steel knife as otherwise it will stain the peels. Back in the day, they used a wooden knife for that reason. The rest of the fruit itself is used as food for the Kabritunan (goats). After the harvesting, the Larahas are then dried in sunlight for 5 days. This is done on a large concrete floor. Under no circumstance can the peels become wet, so great care must be taken to cover the peels at night or if it's raining. 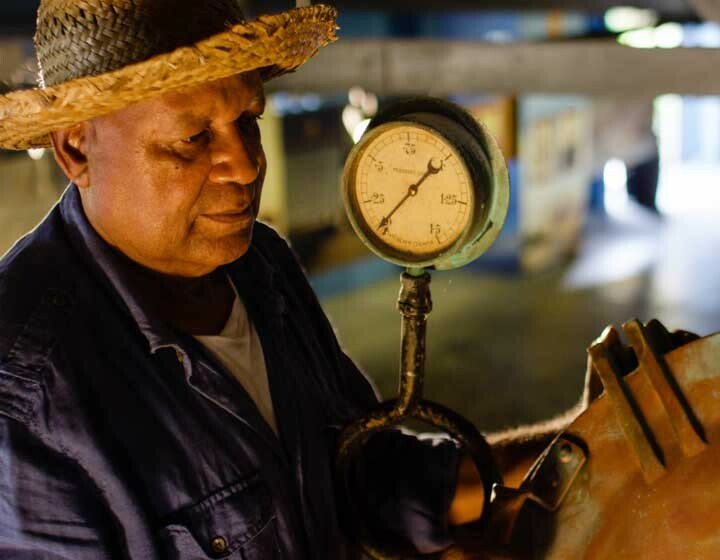 The whole distilling & bottling process is done by hand and takes about 17 days. 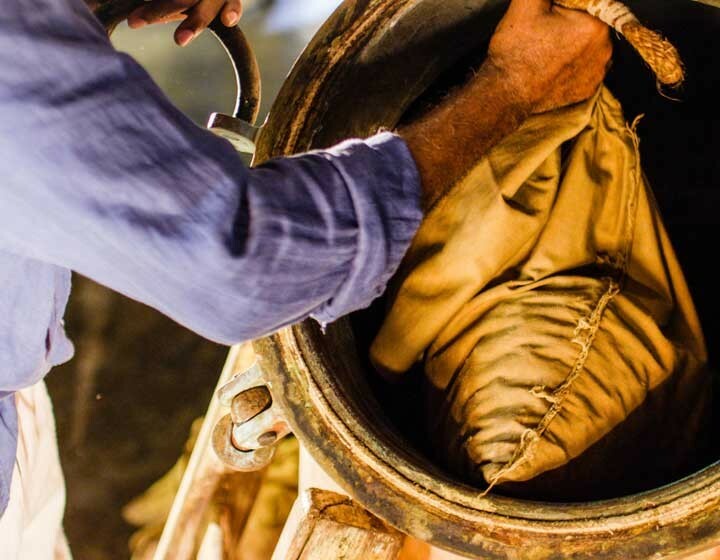 The peels are put in a gunny bag, spices are added and then hung in a heated copper still with 96% pure and kosher alcohol (derived from sugar cane) for 3 days. After 1 day cooling, water is added and distillation takes place for another 3 days. After all that, we add sugar into the distillate and a larger amount of water. The product is then filtered for 3 days to produce the clear, colorless Triple Sec. To create our colored liqueurs, like the Orange version and the world famous Blue Curaçao, we add certified coloring. The last step is to fill the bottles, label and seal them with much care and love.